A picturesque coastal town, Ballina is known for its lovely beaches, lush hinterland, great surfing, relaxed lifestyle and wide range of water activities including swimming, fishing, river cruising and, if you happen to be visiting at the right time, whale watching. Although relaxing is one of the most popular ways to spend your time in Ballina, there are also plenty of boutiques, shops, antique dealers, art and crafts and markets to browse as well as plenty of cafes and restaurants to enjoy. Ballina is renowned for its beaches and the sheltered coves and vast ocean beaches that cover the coastline also offer some of the finest surf breaks in the world. 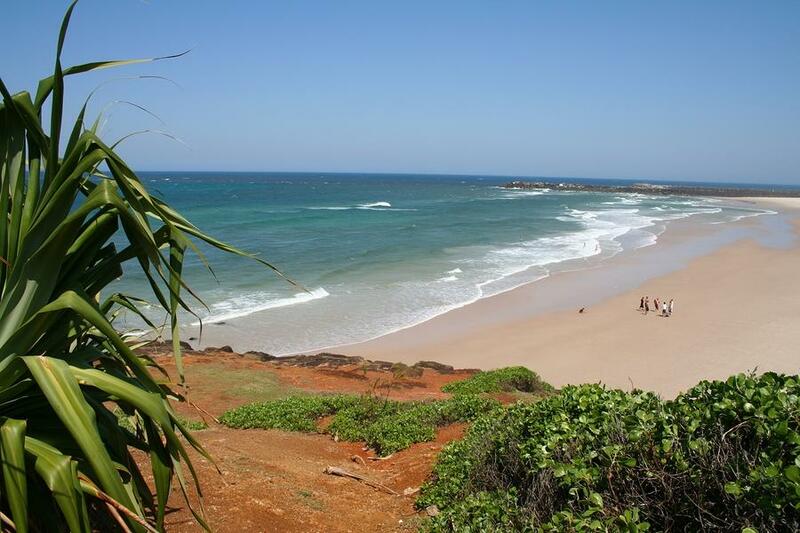 With 32km of beaches stretching from Ballina to Lennox Head, there are a number of popular spots including Shelly Beach, Lighthouse Beach, Shaws Bay Lagoon, Angels Beach, Boulders Beach, Flatrock, Seven Mile Beach and Sharpes Beach. Another great way to enjoy Ballina are the parks that dot the headland and estuaries. Pack a picnic and relax as you watch the trawlers go by and keep an eye out for whales and dolphins. Offering shaded areas, picnic tables and barbeque facilities, Ballina parks are a wonderful way to relax with friends and family. Some of the most popular include Meldrum Park, Pop Denison Park, Killen Falls, Lumley Park, Elizabeth Anne Brown Park, Victoria Park, Mobbs Bay, Fawcett Park, Pioneer Memorial Park, Boulders Beach, Pat Moreton Lookout, Lake Ainsworth and Seven Mile Beach. 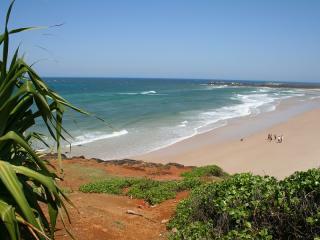 All along the North Coast there are some fabulous local markets, some of which require a short scenic drive to access. Why not make a day of it and explore some of the charming little coastal towns that exist in the Ballina region and sample some of the fantastic fresh local produce. Some of the region's most popular markets include the Brunswick Heads Memorial Park markets, Byron Bay Butler Street Reserve markets, Lismore Car Boot markets, Lennox Head markets, The Channon markets at Coronation Park, Ballina Outdoor Entertainment Centre and Nimbin Community Centre markets and the Evans Head Recreation Reserve and Bangalow showground markets. Ballina is also popular for fishing thanks to its 32km of coastline, river and estuaries and offers everything from whiting, bream, blackfish, flathead and tailor to luderick, dart and jew. If you happen to be visiting between June and November, you'll be lucky enough to see the local dolphins and annually migrating humpback whales, either from vantage points along the coastline or with a charter boat offer whale watching tours.